We live in the Washington, D.C. metropolitan area, and it’s been hot. Really hot. And based on the weather reports we’ve seen this summer, much of this country has experienced at least one, if not many heat waves already. 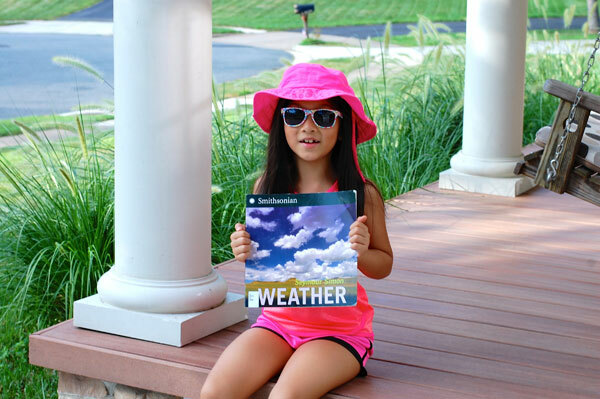 Addie and I have been reading about the topic of weather, and she was curious about how hot things can get under the sun. We decided to do a quick and easy science experiment to test the difference in the temperatures of objects sitting under the sun versus being in the shade using an infrared thermometer. If you’re wondering what an infrared thermometer is, you’re not alone. My husband introduced me to it for the first time as we were brainstorming how best to approach this experiment. 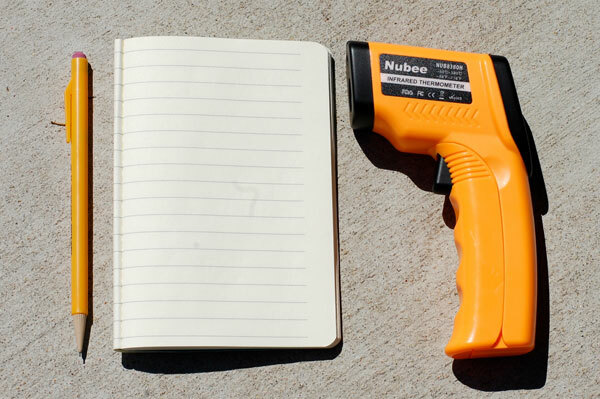 Think of it as a laser gun that measures the temperature of anything you point it at. Infrared thermometer. I ordered mine off Amazon for $12, a Nubee infrared thermometer. You can also find them at Home Depot or your local hardware store. We happened to have two of each of the objects mentioned above, and put one set on our driveway in the sun, and one set on our front porch in the shade. We waited five minutes before Addie used the infrared thermometer to measure the temperature of the black shoulder bag, hat, cup with water and sunglasses. Using my phone, we checked the temperature at that time; it was 92 degrees. 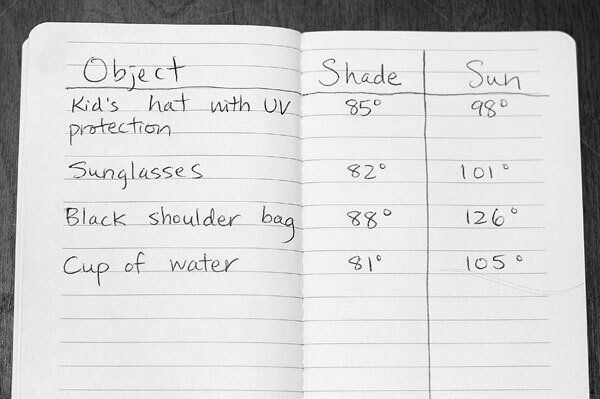 As you can see in the results, there was a huge difference in the temperature of the objects in the sun versus the shade! Addie’s hypothesis was that the objects in the sun would be hotter, but neither of us expected to see such a big difference in the temperatures. This explains why it’s so important to heed the warnings of meteorologists to stay indoors during heat waves. Addie had a lot of fun using the infrared thermometer. It’s easy to use, and is also a fun tool to help kids learn their numbers and read decimal points. You can even use it to measure the temperature of your skin, hair, etc. At one point Addie wanted to point the thermometer at the sun. It was a good opportunity to teach her that you never want to look directly at the sun. Seymour Simon has written a large number of nonfiction books about weather, including Weather, The Sun, Hurricanes, Tornadoes and Lightning. 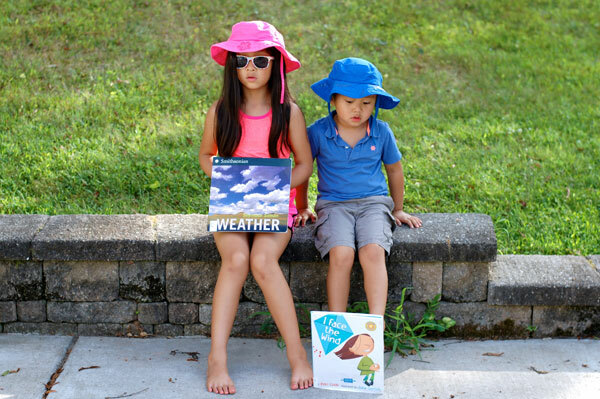 As always, we try to bring my four year old into reading, talking and exploring with us, and I Face the Wind by Vicki Cobb is a good one for kids ages 4-9. If you want to explore science together with your child, check out Start with a Book’s Think Like an Inventor. Numbers and Measuring often come into play when it comes to science, as it did for us in our sun versus shade experiment. There are also the Summer Science resources to explore. An infrared thermometer can come in quite handy when cooking with your child. Explore Start with a Book’s What’s Cooking and have fun being able to measure anything you beam your infrared thermometer at. 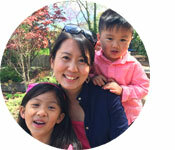 Given the data we saw using our infrared thermometer, stay cool this summer in the shade. It’s hot out there!